They say it’s the first step that’s hardest to make, but is the most important. 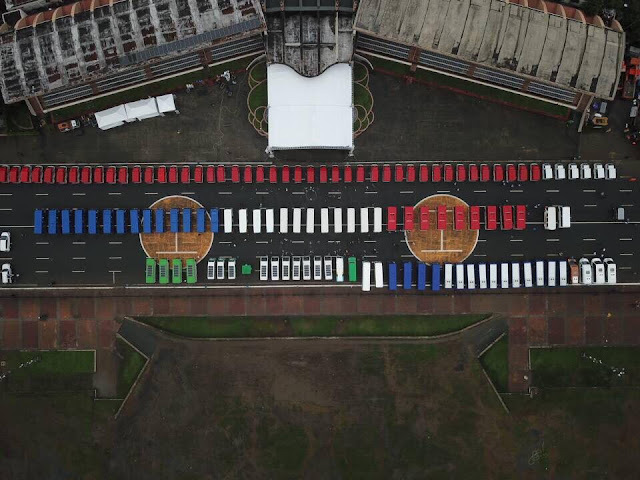 The Department of Transportation (DOTr) took that giant step today, as it started the deployment of modern public utility vehicles (PUV) at the Quirino Grandstand in Manila. 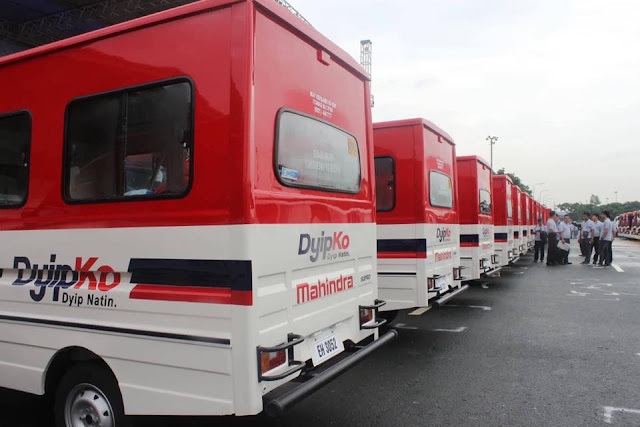 The DOTr led the Pasada Tungo sa Maunlad na Bansa, wherein around 150 modern PUVs were made available for dispatch to operators with franchises validated by the Land Transportation Franchising and Regulatory Board (LTFRB). According to DOTr Secretary Arthur Tugade, the event, which aims to provide a safe, comfortable, efficient and environment-friendly public transport to Filipinos, is a living proof that despite all the hardships, what the Duterte administration promises, it delivers. “What we are doing today is a testament that we remain true to our promise of making the Filipino lives comfortable. Simbolo ito na kung ano ho ang ipinangako ng Pangulong Duterte sa mga Pilipino, natutupad hindi lamang sa salita kundi sa gawa. Napakatalagal na ho itong pangarap ng mga commuters. Ngayon ho binibigyan natin ng katuparan ang pangarap na ‘yon,” Sec. Tugade said. For his part, DOTr Undersecretary for Road Transport and Infrastructure Tim Orbos believes that the PUVMP was able to push through because of the administration’s strong political will. “Hindi madali. Napakahirap. Madali lang that we turn a blind eye to this and work 9 to 5, uuwi, tapusin ang termino nang walang nangyari. Pero hindi papayag ang Pangulo, hindi papayag si Secretary Arthur Tugade. Marahil dahil ito ang karakter ng ating administrasyon: humaharap sa mahirap na problema,” Usec. Orbos said in a message before transport cooperatives, manufacturers, and other stakeholders. DOTr Assistant Secretary Mark de Leon noted that without the support of transport cooperatives, there would be no PUVMP. “It’s so easy to craft an Omnibus Franchising Guidelines; you just need good writers for that. 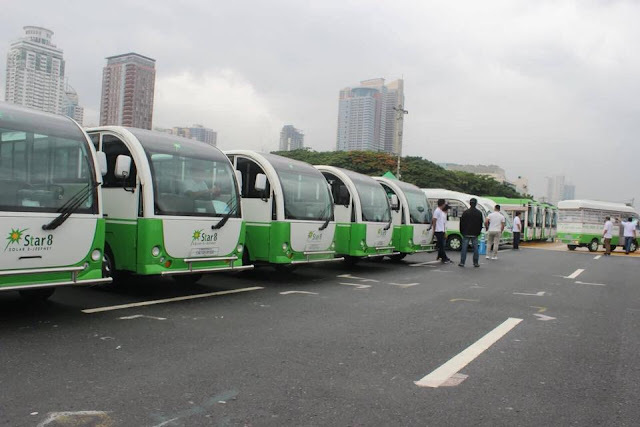 But with the implementation, we need the help of transport cooperatives,” he said. He also added that without the manufacturers, the program would not advance. “It’s your choice to be part of the solution. It’s our only chance na mabago ang transportasyon. To the manufacturers, gumawa pa tayo ng mas maraming sasakyan para ang presyo ay bumaba,” De Leon said. The modern jeepney conforms to the existing environmental and product standards set by the Bureau of Standards. It has side doors instead of rear doors, and a higher ceiling that allows for standing passengers, which translates to a higher carrying capacity. Emergency exits are mandated and some units will have provisions for differently-abled passengers, coupled with WiFi, GPS, CCTVs, dash camera, speed limiter, and automatic fare collection system. “Tinitiis ng mga mananakay ang mausok, hindi ligtas, at sira-sirang jeepney dahil yun na ang nakasanayan. Hindi pwede yun. Trabaho ng gobyerno na ibigay sa publiko ang nararapat. Ayon nga kay LTFRB Chairman Martin Delgra, pinakamahirap ang unang hakbang. Ito na ang unang hakbang natin,” said Usec. Orbos. The DOTr, under the leadership of Sec. 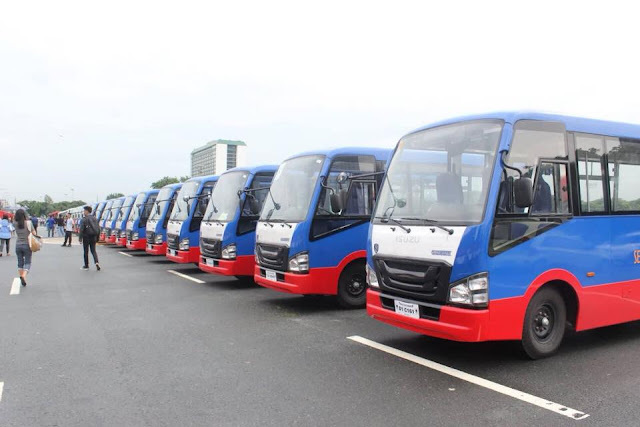 Arthur Tugade, plans to replace all public utility vehicles aged 15 years or older under its PUV Modernization Program. 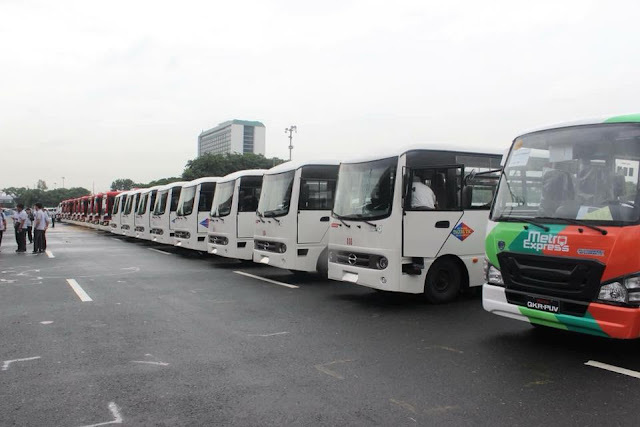 Secretary Tugade urges operators and drivers to be open to change and embrace the PUV modernization, and assured that there are affordable financing schemes available to help them pay for the cost of the modern jeepneys. The financing rates have a “5-6-7-80,000” formula, which stands for an easy down payment, very low interest rates, payability in seven years, and PhP80, 000 government subsidy. 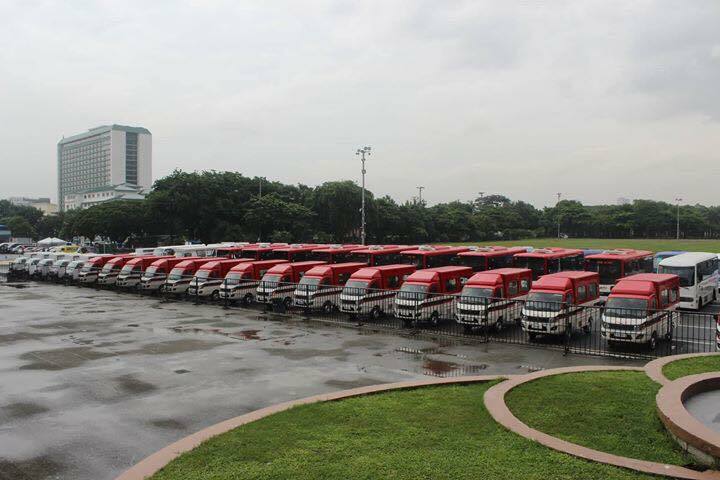 Class 1, 2, and 3 jeepneys are already available for dispatch to transport operators and drivers. Class 1 will have 9 to 22 passenger capacity including the driver; Class 2 will carry 22 passengers and will allow for standing passengers; Class 3 will likewise have 22 passengers and above plus driver, but will be all seated. The Taguig Transport Services Cooperative called the PUV Modernization Program as one of the best programs of the Duterte Administration. “Kapag natapos na ito, masasabi natin na ang bawat Pilipino makalalanghap na ng mas malinis na hangin. Ang PUV Modernization Program ay ginagawa para sa susunod na henerasyon. Sa mga nagsulong at nakipaglaban, kayo ang tunay na bayani; bayani sa arangkada ng pagbabago,” said TTSC Chairman Freddie Hernandez. The Pasada Tungo sa Maunlad na Bansa was held in cooperation with the National Parks Development Committee (NPDC). NPDC Executive Director Penelope Belmonte throws her support to the program and said it is time that the public embrace transformation. “Ang pagbabago ay hindi ibig sabihin ng pagtalikod sa tradisyon at kultura. Nangangahulugan lang ito ng pagsulong sa pag-unlad. Ito’y simbolo ng adhikain ng gobyerno na mapabuti at iangat ang serbisyo sa publiko. Buksan natin ang ating isip at puso sa programa, dahil ito’y magsisilbing pamana natin sa susunod na henerasyon,” she urged.